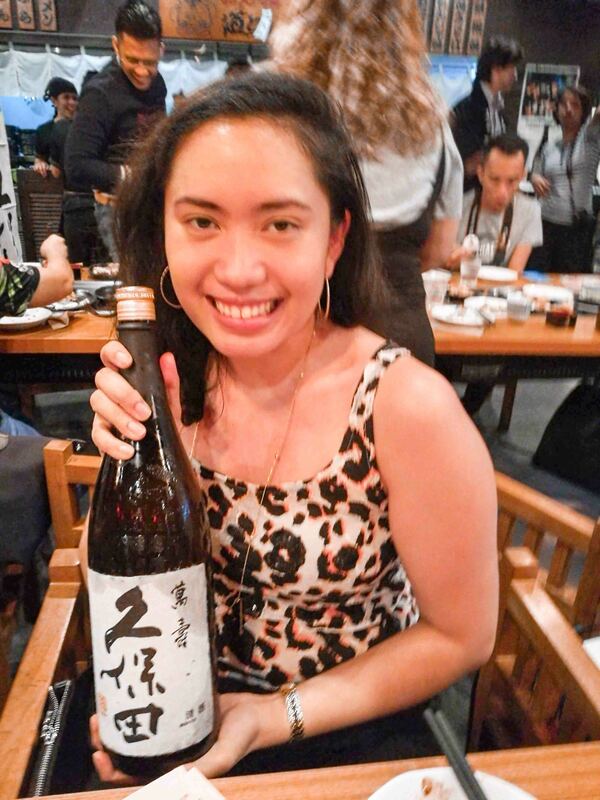 Dohtonbori recently held a Sake Masterclass at their flagship branch in Greenhills. Along with other foodies, we listened as Sake Master Keichi Nagatsuka talked about the history of Kubota and their brewing process in the snow country of Niigata prefecture. 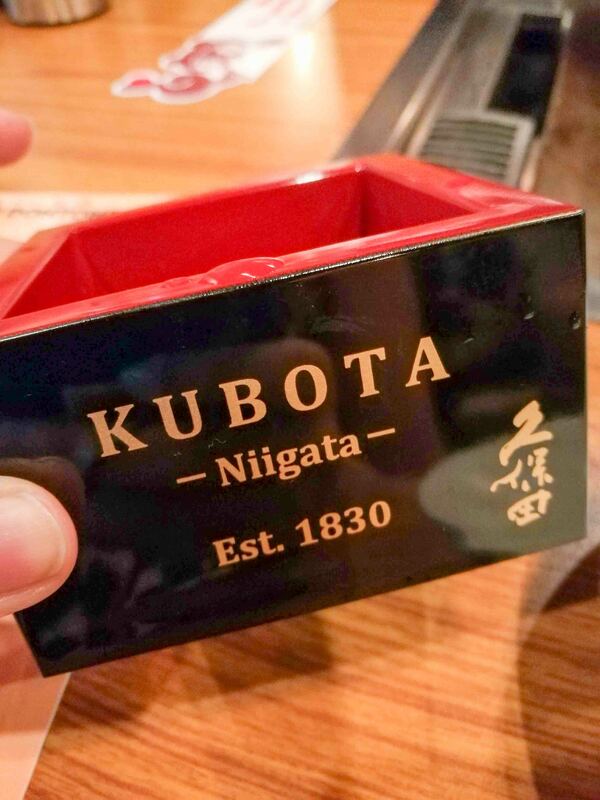 What struck me the most was that Kubota’s sake brewing philosophy is rooted in this: “The true flavor lies in plainness.” Indeed, Kubota takes pride in the craftsmen who are committed to the quality of the sake. Everything, from the soft water (that comes from melted snow!) 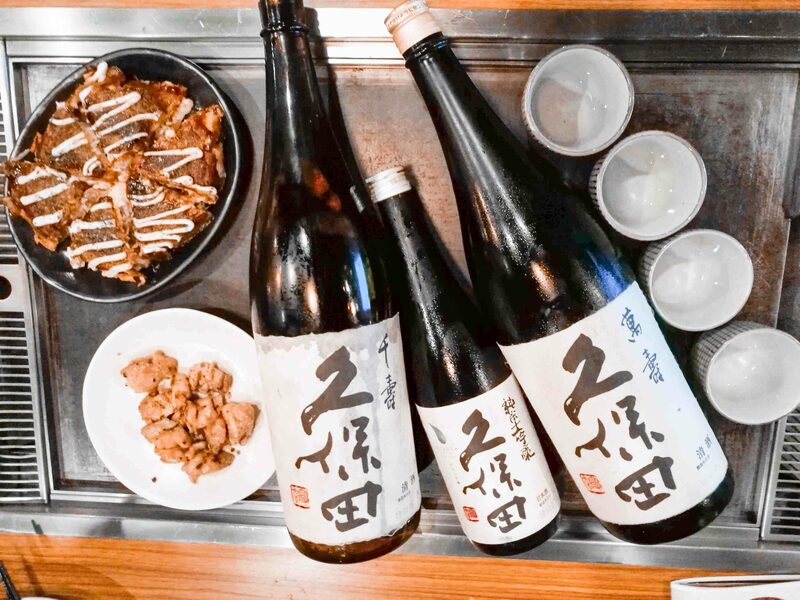 that urges moderate fermentation, to the Gohyakumangoku rice that gives a light flavor, and even to the technologies they use to keep temperatures and humidities stable as the brewing progresses, everything works together to create sake that has a distinctive and refined taste. Even the labels of the bottles have a story – they’re made of Washi paper, handcrafted from mulberry trees. It makes the labels look warm and refined and highlights its natural texture — very much in line with what the Kubota brand is all about. Each sake we tasted was paired with delicious dishes from Dohtonbori. We started off with Kubota Senjyu. It’s perfect for pairing with different dishes because of its moderate aroma and clean and crisp finish. 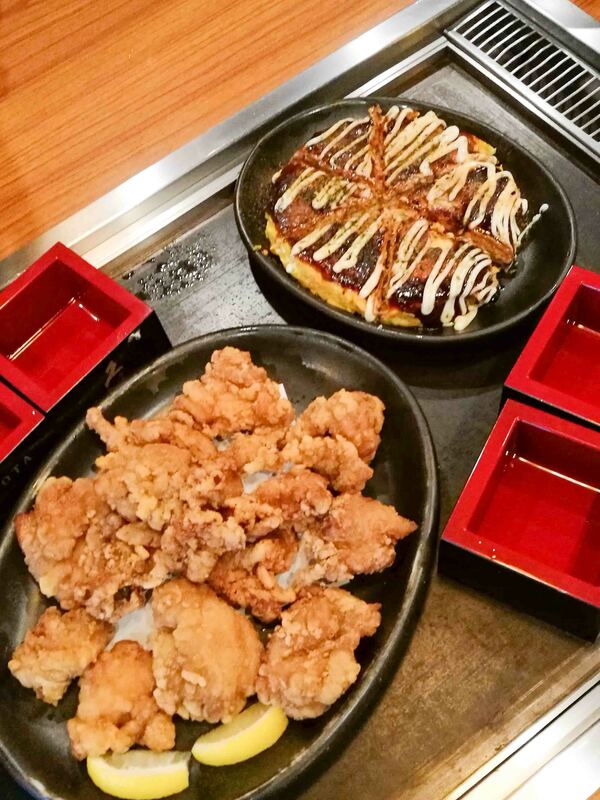 We had it with the butatama (pork) okonomiyaki and chicken karaage. The second was the Kubota Junmai Daiginjo. This was the one I liked the most because of the hint of pear and melon you get along with the smooth and clean texture. This was served with veggie supreme okonomiyaki and chicken shio. According to Kubota, this particular sake was brewed in pursuit of the “magnificence of new taste.” I think they achieved that. The last one was the Kubota Manjyu. As Kubota’s flagship premium sake, it had a smooth and fragrant taste that had a more floral aroma. Served with Kalbi (beef) Yakiniku and Four Cheese Okonomiyaki. 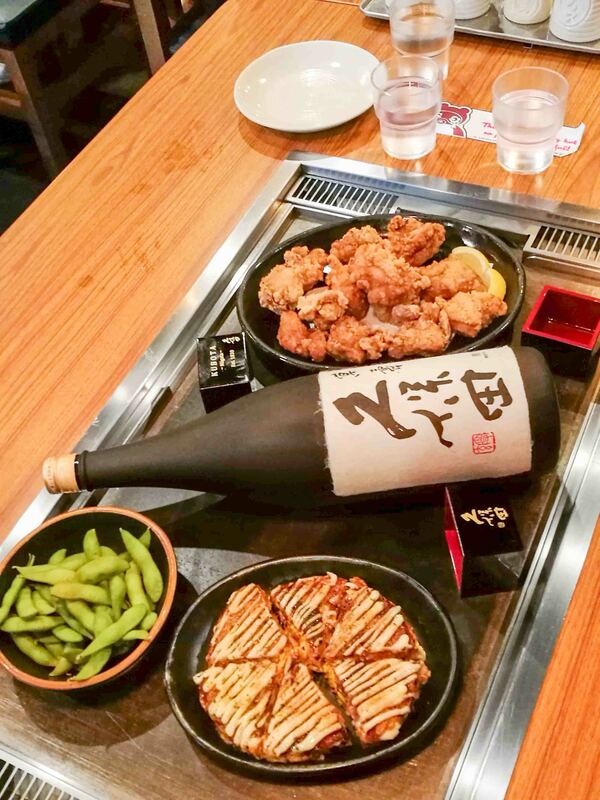 The rich taste of both dishes complemented the taste of the sake so I would definitely suggest ordering them together. 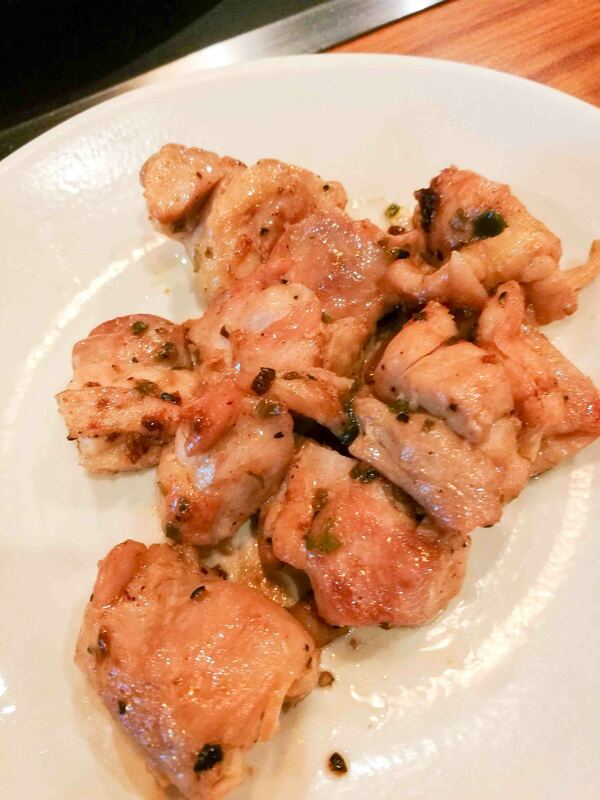 The next time you’re planning to hang out with friends over drinks, I recommend having the meal at Dohtonbori. There’s something very engaging about huddling in front of a teppan (iron plate) table as they cook your food fresh as you catch up and take swigs of sake. 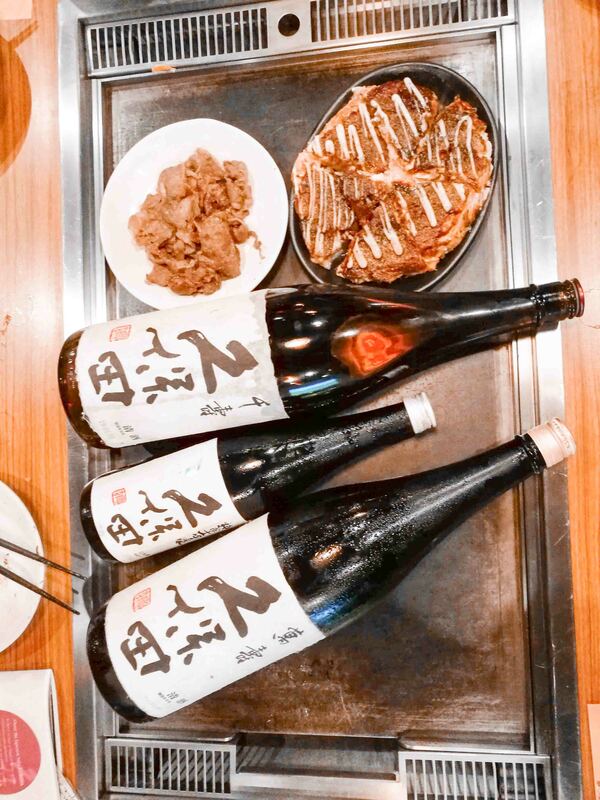 Each sake we tried had 15% alcohol content so the okonomiyaki is rich and filling enough to be great groundwork for your gut for a night of drinking and chatting with your friends. 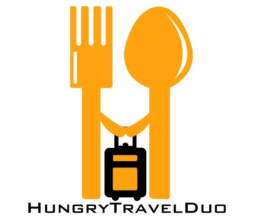 I suggest starting out with some edamame, two types of okonomiyaki and the kalbi yakiniku. The four cheese okonomiyaki is a real showstopper so if you have a friend (or happen to be that friend) that loves cheese, you should definitely get it if only for the satisfaction of watching the melty cheese ooze out as you take a slice. It is not for the fainthearted.